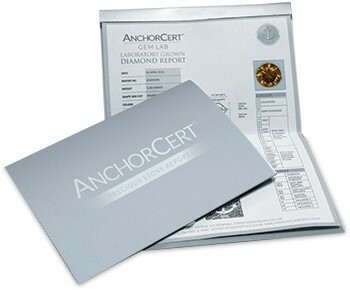 Stones submitted to AnchorCert Gem Lab as laboratory grown diamonds can be given either a Verbal or an A5 Report. The Report includes the quality information as shown on a Full Diamond report, weight, shape, cut, colour, clarity, measurements, symmetry, polish, fluorescence, girdle and additional comments. The diamond report also contains a digital image of the stone, the colour scale and measurements diagram. The AnchorCert Gem Lab Synthetic Diamonds report is currently most widely used by those companies specialising in synthetic coloured diamonds formed from carbon deriving from human hair, pet fur or even cremation ashes. 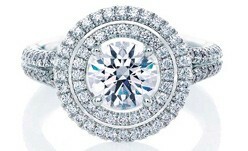 This is a growing niche market and the diamond report is an important part of the service as evidence that the gemstone really does class as a laboratory grown diamond. AnchorCert Gem Lab has been working closely with manufacturers, importers, exporters, high street retailers, action houses , pawnbrokers, e-tailers, TV shopping channels, and direct customers for many years providing independent diamond, gemstone and pearl reports. An independent Report which is internationally recognised, has been shown time and again to give customers the reassurance they need to purchase items at the top of the price range. For more call us on 0871 423 7922 or contact us here.